Dubai hosted the Middle East’s largest creative festival November 12-17, featuring over 230 exhibitions, installations, awards, competitions, talks, workshops, tours, and experiences across the city. 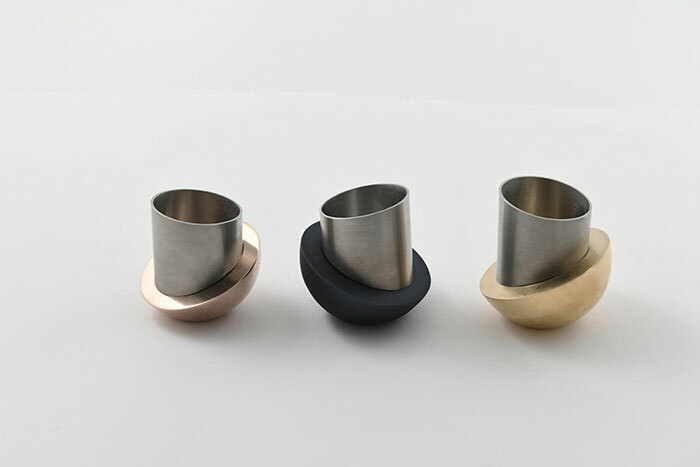 Held since 2015, has become a unique platform for the region’s design scene. This year, the opening of Dubai’s first contemporary art museum, Jameel Arts Centre, and the inaugural Fikra Graphic Design Biennial in Sharjah coincided with the event. For the 2018 edition, architect, product designer, interior decorator, and art director Paola Navone presented “Gateway to Dubai Design Week” in collaboration with Abet Laminati. The three-dimensional puzzle, which creates a giant gate, welcomed visitors. 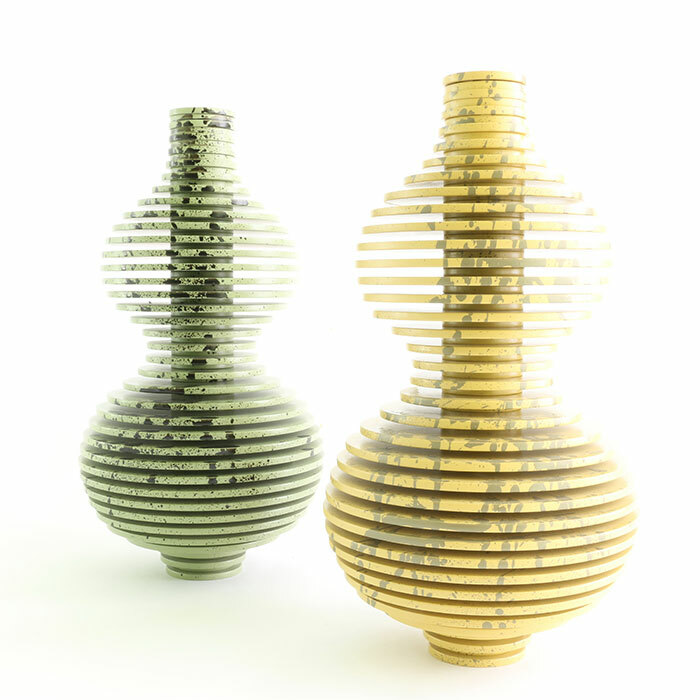 Made of plain MDF (medium-density fiberboard), semi-gloss lacquer finish, and a glass tube, these visually captivating vases were designed by Jordan-based creative product design studio In Doi, founded by husband-and-wife duo Laith Al Essi and Tahrid-Alina Al Smairat. 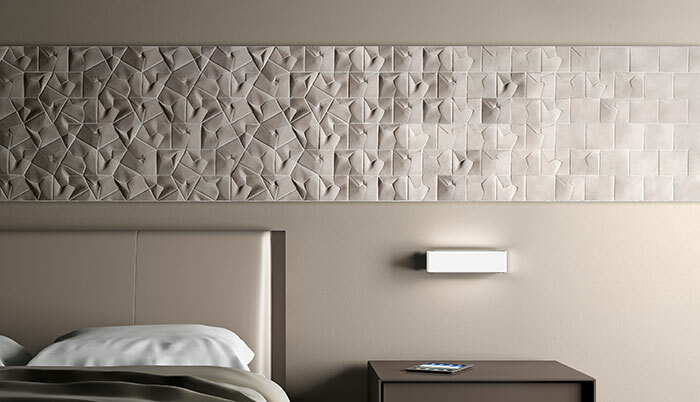 This wall-and-floor tile collection, ranging from flat to 3D and from square to randomly irregular shapes, is a collaboration between Italian designer Giovanni Barbieri and California-based factory Arto. 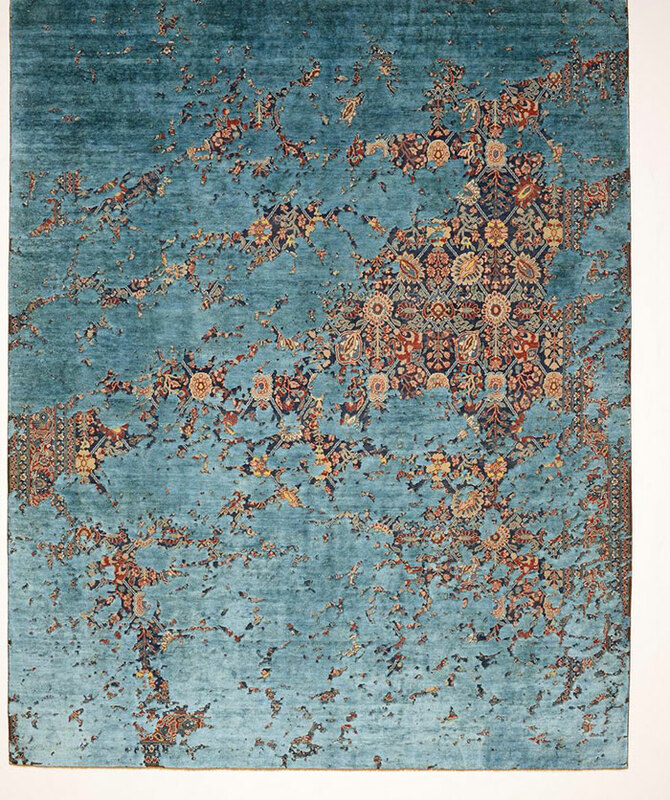 Presented by , the Erased Heritage collection by German-born designer Jan Kath pays homage to the traditional Oriental carpet. 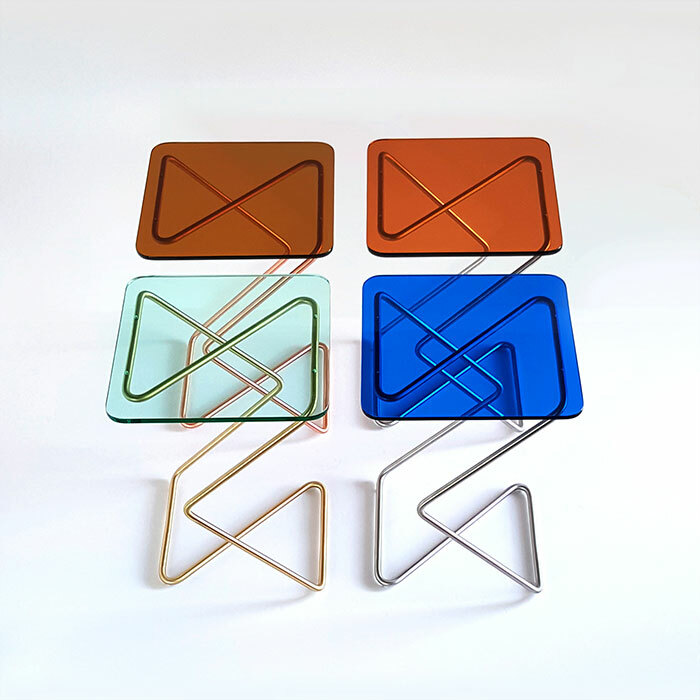 Inspired by crystal’s transparency, purity, and geometry, these side tables by Lebanon-based KRAY Studio have a geometric identity. 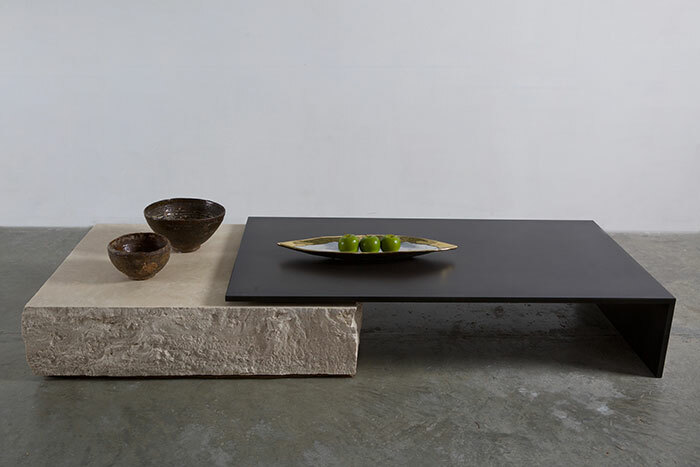 Both functional and sculptural, the table uses Travertino Navona marble as a base with an iron finish. 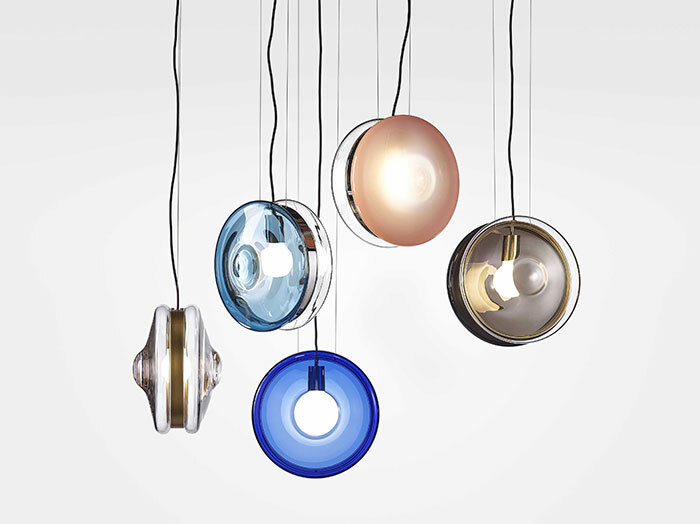 These pendants in hand-blown glass with a metal mounting are by Studio deFORM — established in 2011 by Jakub Pollág and Václav Mlynár — for Czech company Bomma. 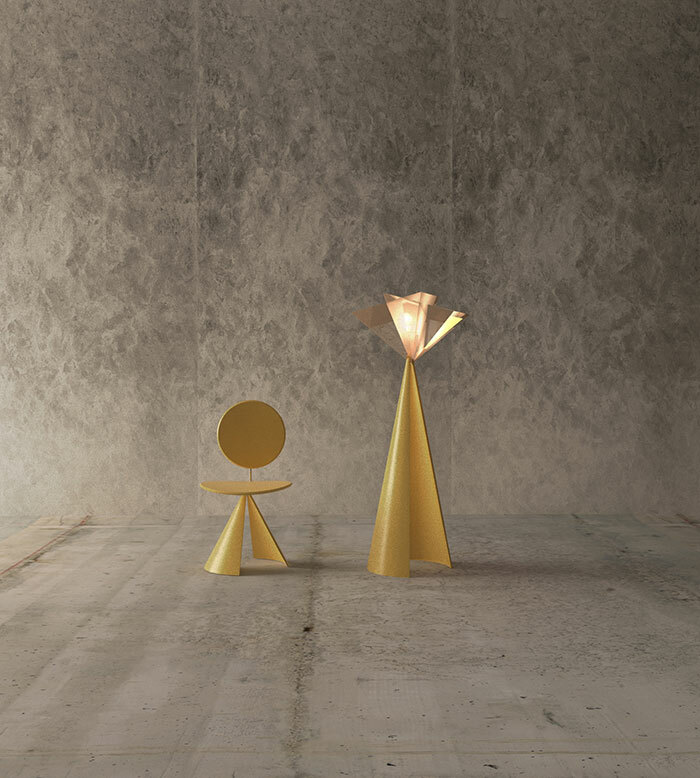 The chair in ash wood with steel and the floor lamp in coated ash wood are two new creations by Rejo, a design studio based in Riyadh, Saudi Arabia, which was founded in 2014 by Reem Olyan and Jumana Qasem and seeks to make timeless pieces. Photography by Saccal Design House. Sisters Nour and Maysa Saccal, founders of Beirut-based Saccal Design House, focus on questioning existing norms and exploring design in different mediums and materials to evoke emotion. All of their products are handmade in Lebanon. 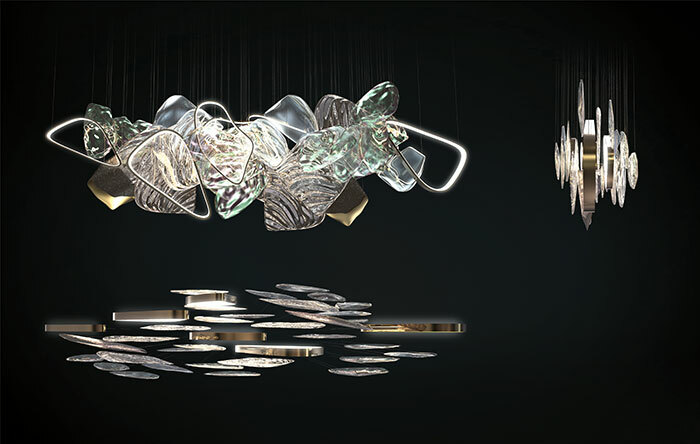 Inspired by the importance of water in the United Arab Emirates, this installation with organic shapes mirroring water reflections was designed by Vera Dieckman, Head of Design at Albal Design Studio, in cooperation with Wanda Valihrachová from Czech glassmaking and design company Lasvit. 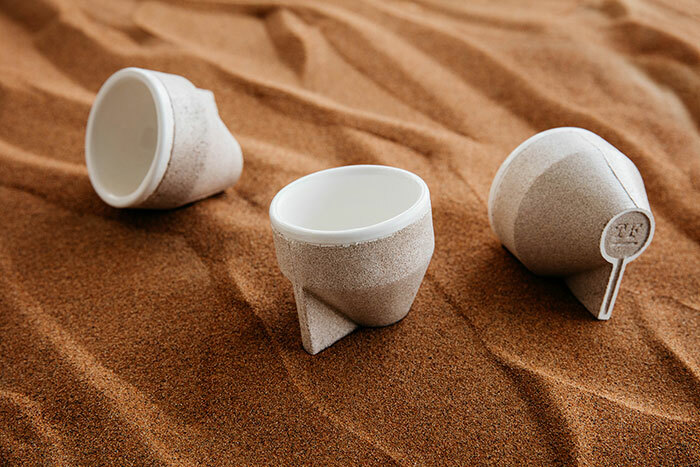 Inspired by the ever-shifting dunes, The Foundry by Tinkah, based in the United Arab Emirates, designed and produced these coffee cups using “Ramel,” a new moldable material. 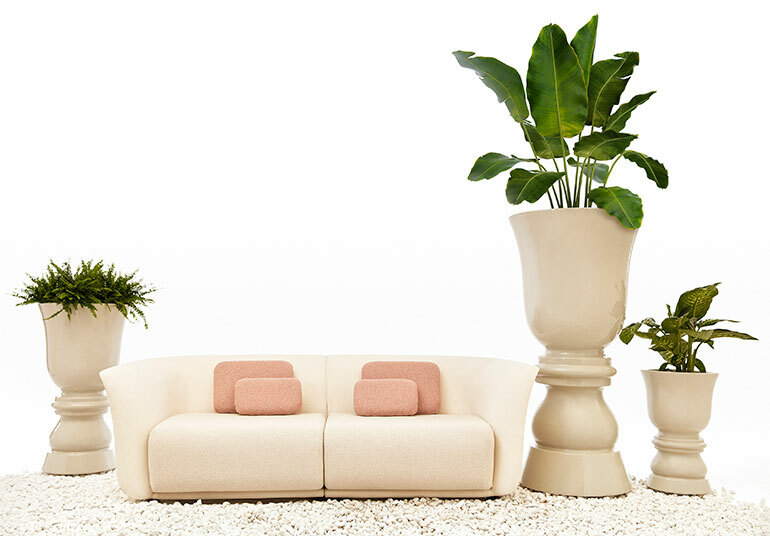 This collection, which blurs the boundaries between indoor and outdoor design, is the result of collaboration between Dutch designer Marcel Wanders and Spanish brand Vondom.